PlusCoin is called the “People’s cryptocurrency” because it makes blockchain tech accessible for everyday people. Customers on the platform will have access to sales, deals, and other promotions that actually mean something to them. What’s more, the DS Plus platform will have full integration of smart-contract technology. This means that transactions on the platform will be secure and transparent at every step of way. The PlusCoin platform is being developed to have two kinds of smart-contracts – a main, Ethereum-based, contract, and additional, native, contracts which provide other functionalities. The main PlusCoin smart-contract is designed to be compatible with the Ethereum network. The team chose the Ethereum network because of the exchangeability of Ethereum-based coins. Soon, PlusCoin will be available on the various Ethereum exchanges. This smart contract contains the SafeMath library, the standard ERC20 functions, events, variables, and constants. Also, it gives PlusCoin token holders a number of abilities: They can check their PLC balance on a specific wallet, send PLC to other wallets, deduct a certain allowance of PLC from a certain address, and to transfer funds from one person’s wallet to another. The other smart-contracts are being developed because it was never intended for PlusCoin to be limited to the basic functionality of ERC20. These contracts will interact with, and supplement, the main smart-contract. Loans on the P2P Platform: It will be easy for creditors to track, verify, and evaluate potential borrowers. The publication of additional smart-contracts will not take anything away from the Ethereum-based contract, and will not lead to the release of new tokens in the place of PlusCoin. At the moment, the DS Plus team is testing a new contract that will be used in the marketplace, and which contains cryptoscoring functionality. 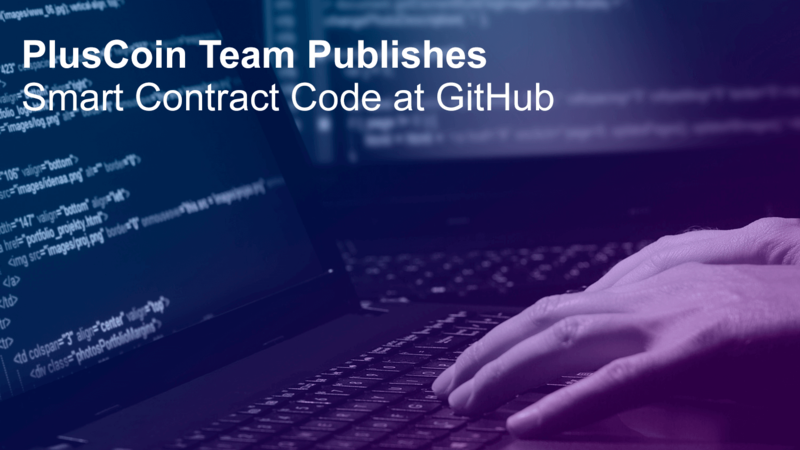 The Code of this contract will be published in the Github repository when it is ready. The team is constantly discussing and conceptualizing new ideas on how to implement blockchain-technologies into the everyday peoples’ lives. These smart-contracts represent just one of the ways that PlusCoin is ahead of the crowd in cryptocurrency innovation.